Explore the limitless possibilities that are open to you and create a new story for your life. Creating your alchemical story with First Light Porta Alchémica® is transformational, empowering and life changing. 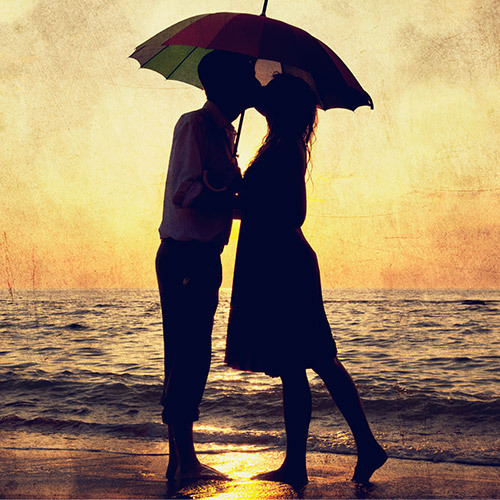 It is an invitation to participate in a new relationship with your life, the solar system, stars, zodiacal and planetary allies and to open up an entirely new world. 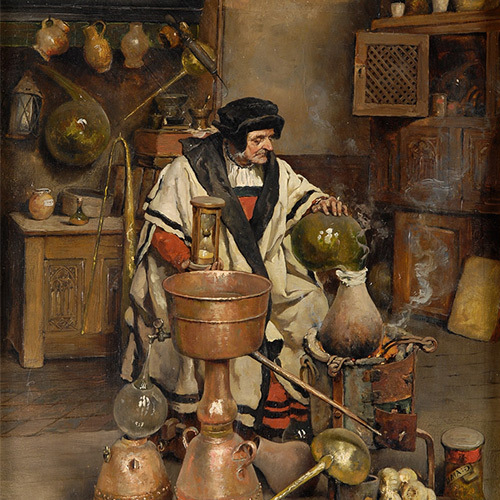 Alchemist at work in his laboratory. Co-creation is like a dance with the universe and an opportunity to play as elixirs and anointing oils are chosen to co-create a new alchemical story. 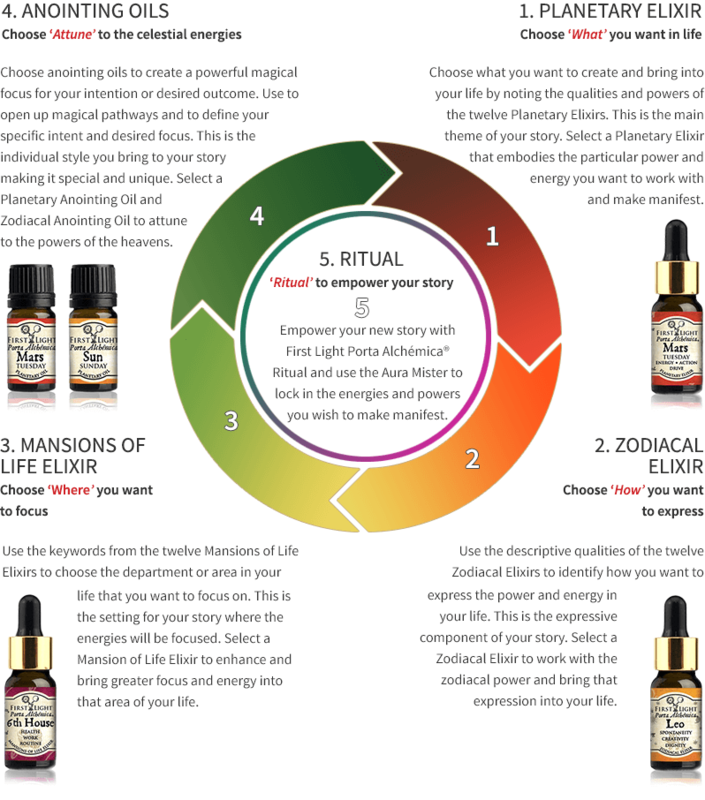 Use the Planetary Elixirs for 'What' you want in your life, the Zodiacal Elixirs for 'How' you want to express and experience, and the Mansions of Life Elixirs for 'Where' or what area of your life you want to focus on. Anointing oils create a powerful magical focus and work synergistically together. Their preparation and unique fragrances are aligned to the planetary and zodiacal powers to open up magical pathways and define your specific intent and focus. They can be matched according to their keywords and corresponding Planetary Elixirs and Zodiacal Elixirs or chosen intuitively. 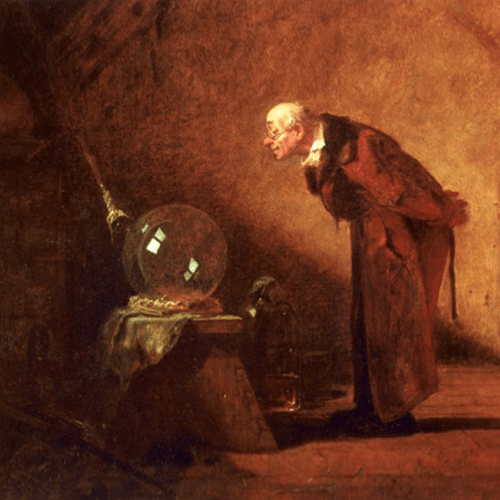 Work their unique scents on their own or blend together to create your own alchemical fragrance.